Specializing in all of your residential plumbing and drainage needs. Let us build the perfect plumbing maintenance schedule for you and your business. Plumbing emergencies can strike at any time. Hardee's Plumbing offers 24-hour service, 7 days a week, to serve our customers in their time of need. 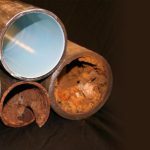 Over time many pipelines deteriorate and can cause leaks and sediment issues. From emergency calls to scheduled maintenance, we are your ONE SOURCE for your plumbing needs! Hardee’s Plumbing is proud to be the go-to plumber for homeowners across Eastern North Carolina. 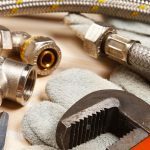 We work hard to earn our reputation by providing the best customer care and most complete plumbing services available. Call Hardee’s Plumbing in any plumbing emergency! 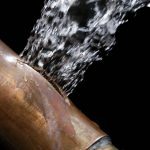 When a commercial plumbing problem interrupts your business, or a clog or leak is damaging your property, you need the problem diagnosed and fixed—fast. Before you destroy your home or business removing concrete to replace the damaged piping in your slab please give us a call so we can give you an estimate. Our well-trained and experienced plumbing technicians are familiar with all types of household, office, industrial and commercial plumbing systems. When something suddenly goes wrong with your toilets, showers, sinks, grease traps, drains or sewer pipes–we know how important a quick response can be. Every customer's individual needs are important to us at Hardee's Plumbing. 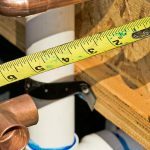 Our focus of providing quality plumbing service and products combined with honesty has made our plumbers the first choice of many residential and commercial clients throughout Eastern NC. You can count on a Hardee’s technician to take care of your plumbing and drainage needs-day or night. ©2019 Hardee's Plumbing Company Inc.